Unidigital has started to offer to the meteorological instruments market its Stevenson (*) Type Weather Instruments Shelter, aiming to fullfil a need of this kind of product in Brazil. 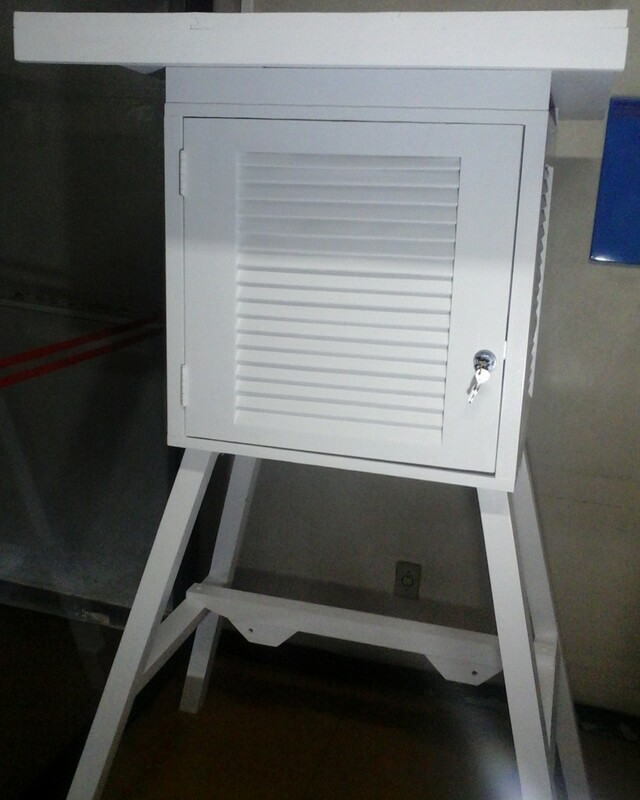 Built of treated and sealed fine wood, the AMS600 shelters can be built with cabinets of 600 (w) x 600 (h) x 450 (d) mm dimensions or other sizes according to customer’s specifications. (*) Named in honor of the English inventor Thomas Stevenson (1818 – 1887), father of the famous Scottish writer, novelist and essayist Robert Louis Stevenson (1850 – 1894).